Industries operate by using biomass. As we read and learn about conservation and alternative fuel, we may be faced with the question: what is biomass? The word biomass comes up in green sustainable magazines, but is it fully understood? After reading this article, you will have the answer to what biomass is all about. Living and recently dead biological matter that can be converted to use as a source of fuel, such as biofuel. Plant and animal material which is used for producing fibers, heat or chemicals. Biodegradable wastes that can be burnt as fuel. Organic matter which has been changed by geological transformation into materials such as petroleum or coal. Basically, biomass is reusable and renewable energy. 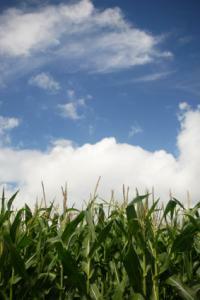 Corn is grown to create biofuel. Two main types of biofuel are ethanol and biodiesel. Ethanol can be blended with gasoline so that not as much petroleum is needed to run a vehicle. This reduces air pollution as well as cutting down on the need for gasoline. Most of today's vehicles can run on blends of E10. This blend consists of 10 percent ethanol and 90 percent gasoline. E10 is the most common low-concentration mixture. Ethanol can also be blended with gasoline to create E85 which is a blend of 85 percent ethanol and 15 percent gasoline. Since it burns cleanly, ethanol is the highest octane-producing fuel available. Biodiesel is a clean burning fuel produced from domestic, renewable resources such as new and used vegetable oils (largely from soybean) and animal fats. Biopower, or biomass power, is the use of biomass to generate heat, electricity, and steam in refineries. The system works when biomass feedstocks burn to produce steam. The steam drives the turbine which turns a generator that converts the power into electricity. 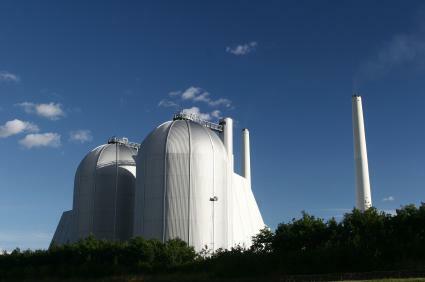 In some refineries, the steam that rises from the power plant is also used to heat buildings. This entire process is energy efficient making industries like paper mills more green. Using biomass can help reduce global warming. How is this done? Growing plants use and store carbon dioxide. Carbon dioxide, or CO2, is stored in the plant and then released when the plant material is burned or decays. By replanting the crops, the new plants can use the CO2 produced by the burned plants. Therefore, biomass and replanting helps close the carbon dioxide cycle. If crops are not replanted, then biomass can produce carbon dioxide. This will contribute toward global warming. What is Biomass Going to Be in the Future? Biomass is growing in popularity. Already it can be used to produce a number of common products based on the plant material chosen. In the future we will be sure to see more products created from biomass such as detergents, plastics, polymers, carpets, fabrics and lubricants. What is biomass going to be in the future? Surely, a well-known and widely-used effective fuel alternative..